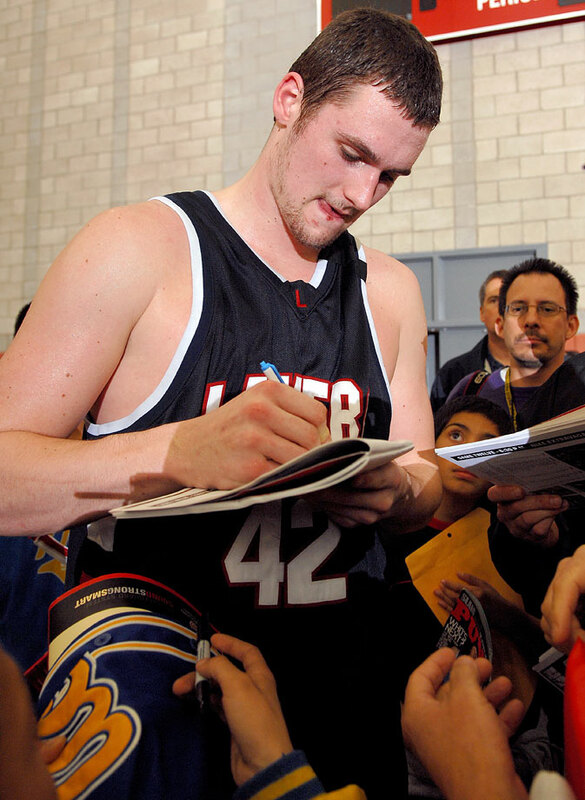 Cleveland Cavaliers forward Kevin Love is likely to re-sign with the team, according to multiple reports. Sam Amico of Fox Sports reported that Love has indicated to the Cavaliers that he plans to return, and ESPN's Brian Windhorst cited sources who indicated Love will likely remain in Cleveland. The Cavaliers plan to extend Love a five-year maximum contract worth at least $110 million, according to Windhorst. Cleveland acquired Love in a trade with the Minnesota Timberwolves last summer. 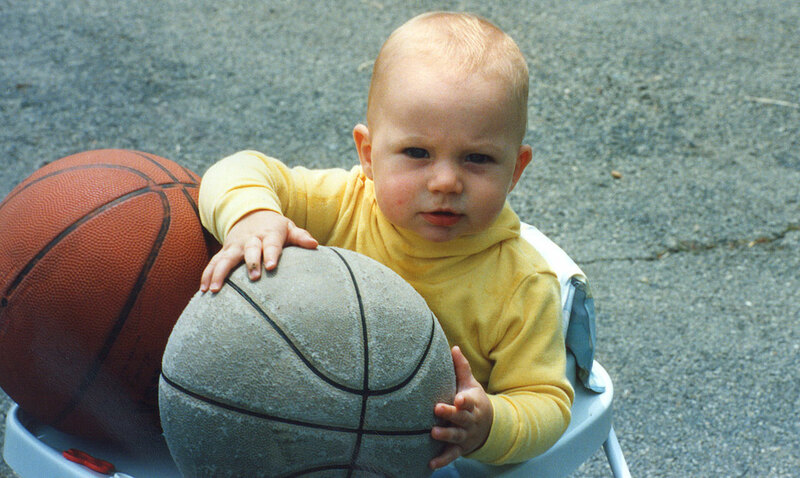 A six-month-old Kevin Love is introduced to basketball at a very, very early age. 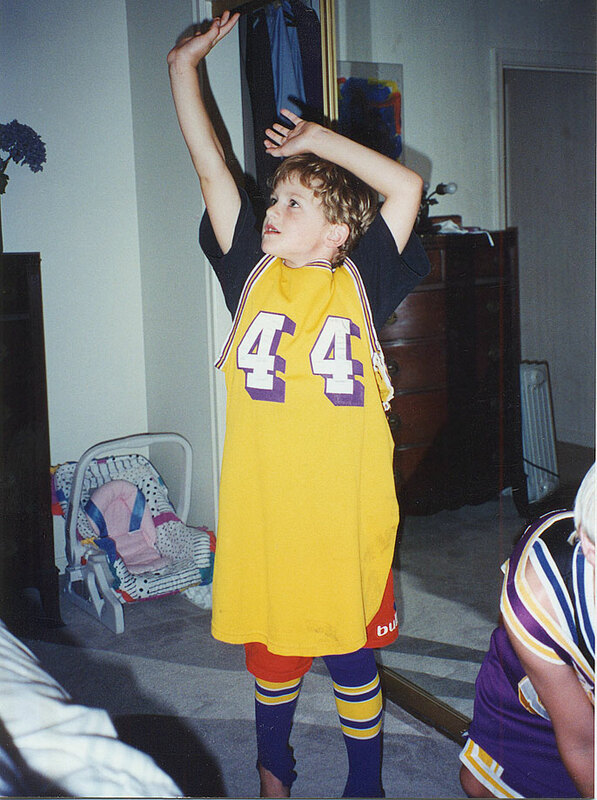 A five-year-old Kevin Love rocks a sweet Jerry West jersey. 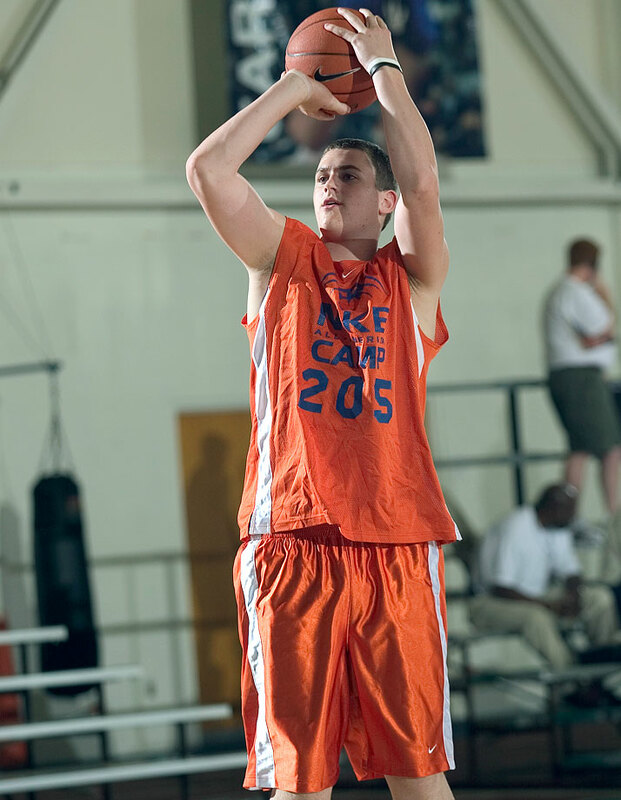 Love attended the 2004 Nike All-American Basketball Camp in Indianapolis, but controversy ensued when he chose to play in Reebok's ABCD Camp. Here's Love donning his Denver Nuggets-colored ABCD jersey. Love gets chippy at ABCD camp. 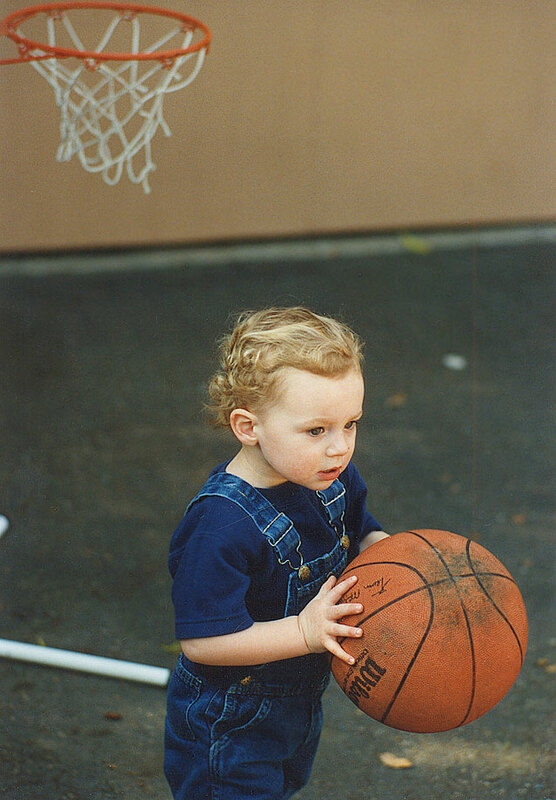 Love finished his high school career at Lake Oswego High in Oregon as the all-time leading scorer in state history with 2,628 points, breaking a 50-year-old record. 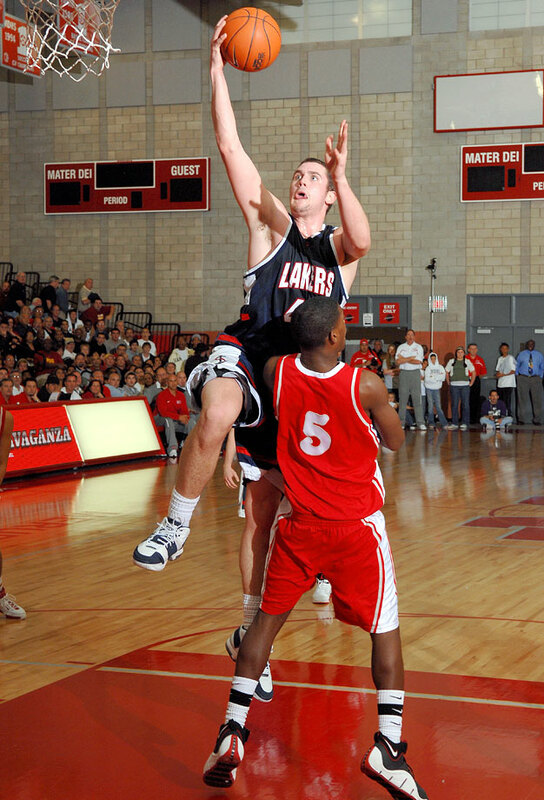 He also led the Lakers (yes, the Lakers) to a state title. You know you're big time when people want your autograph in high school. 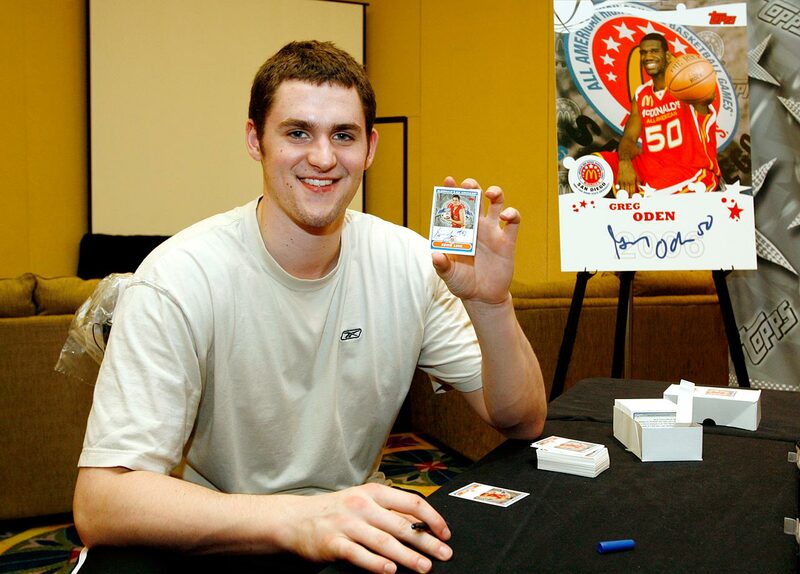 The 2007 McDonald's All-American National High School Player of the Year shot hoops with Quentin Harris during a visit to a Ronald McDonald House in Louisville, Ky.
Because who wouldn't want an autographed Topps card of Greg Oden from the McDonald's All-American game? 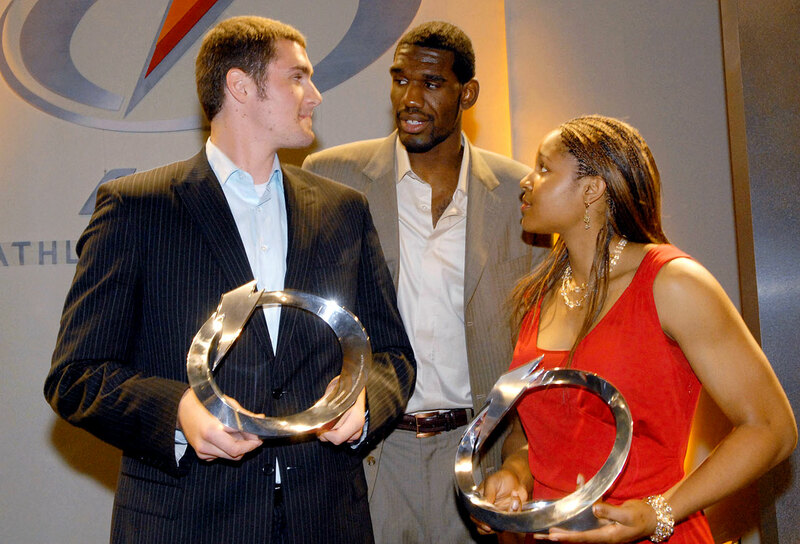 2006 Gatorade Male Athlete of the Year Greg Oden congratulates the 2007 Gatorade Athletes of the Year, Kevin Love and Maya Moore, in Los Angeles. Just hanging out at the Pac-10 Media Day. 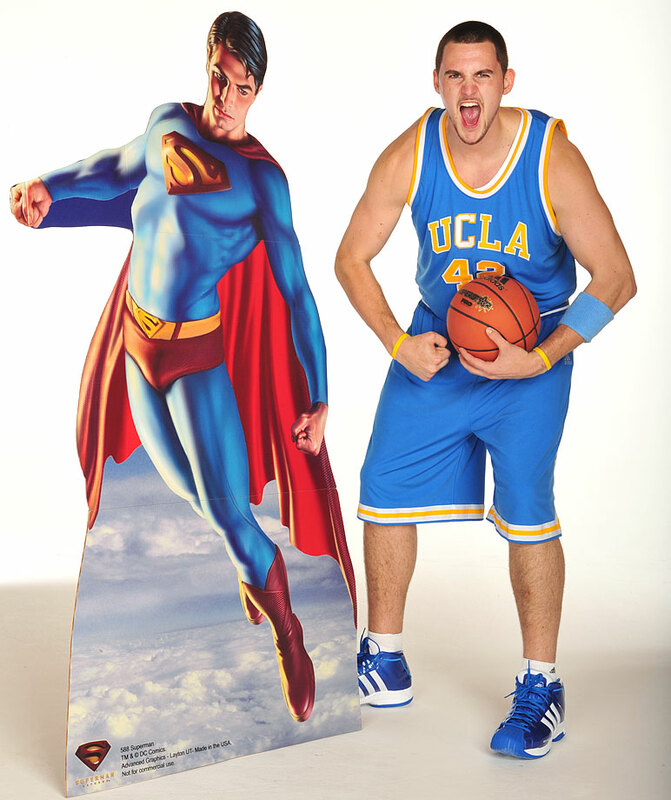 UCLA's Kevin Love hangs out with USC standout O.J. 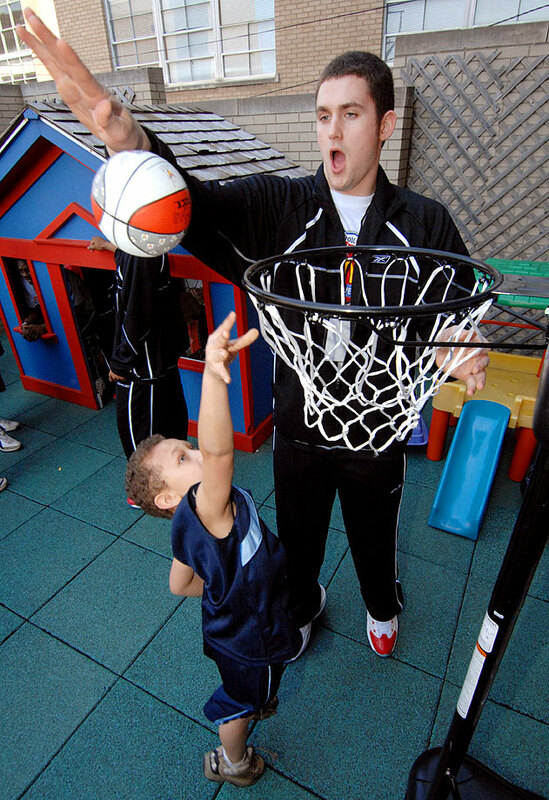 Mayo on the set of a photo shoot for SI. He'd be wise to frame this photo. 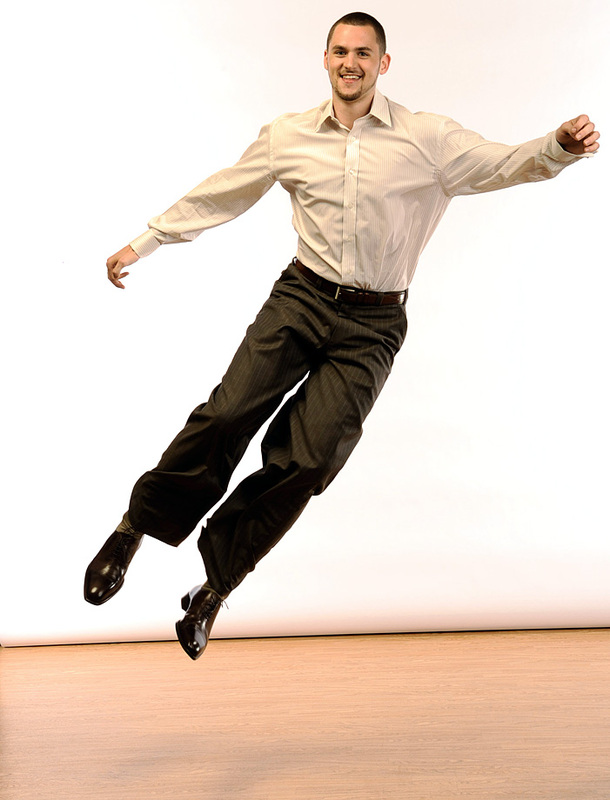 Love does his best Fred Astaire impression. 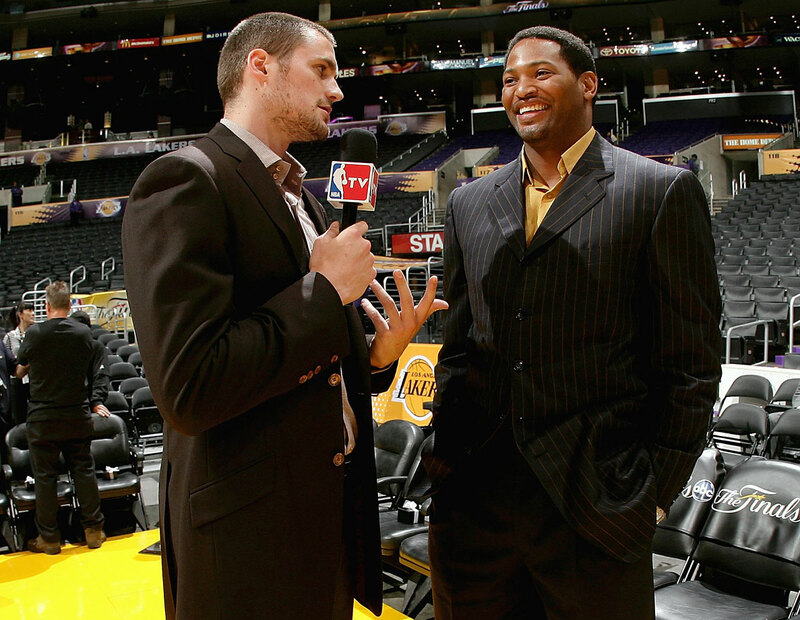 Love interviewed former NBA forward Robert Horry before Game 1 of the 2009 Finals between the Magic and Lakers at Staples Center in Los Angeles. 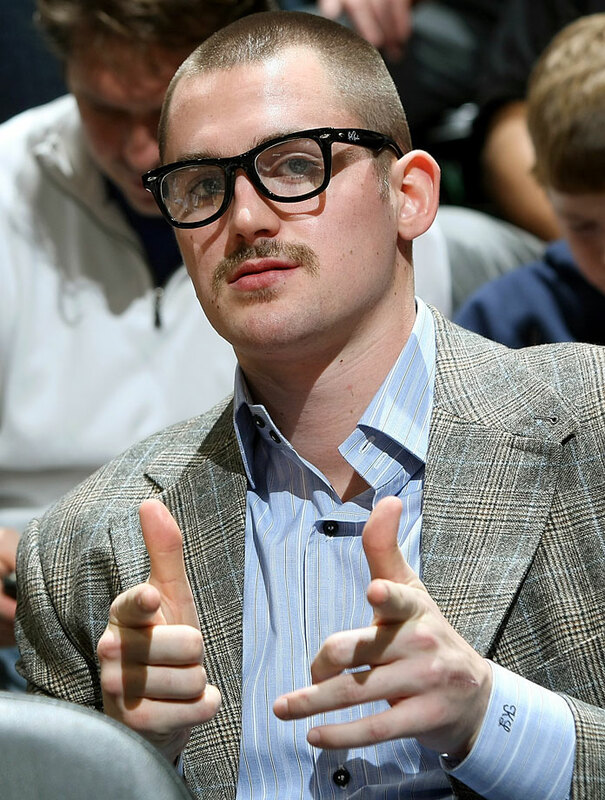 No, he did not think (at least, we hope he didn't) this was a good look. 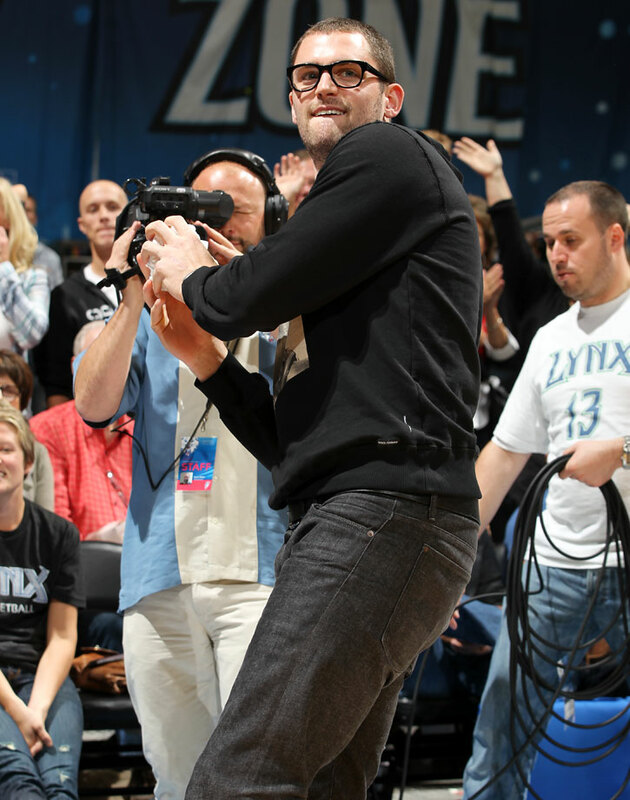 It was merely "Kurt Rambis Night" at the Target Center. 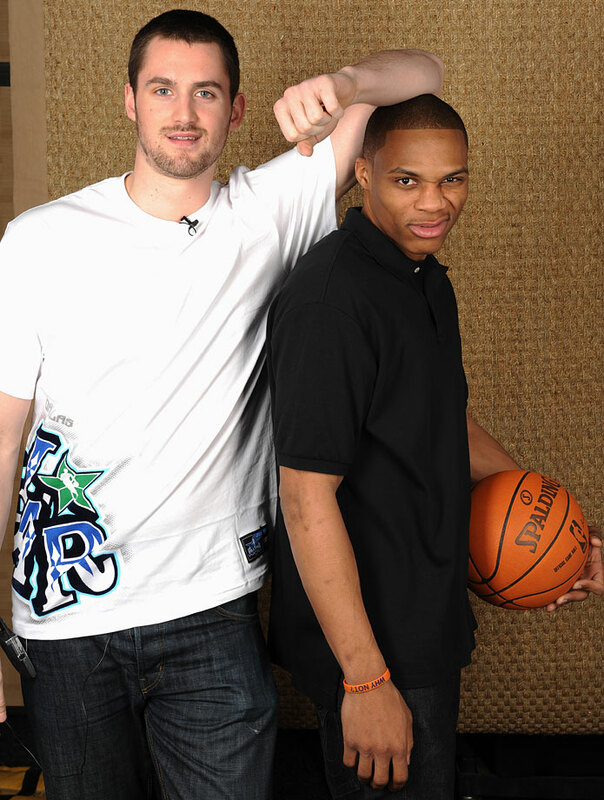 Love, with former UCLA teammate Russell Westbrook, joking around during 2010 NBA All-Star weekend in Dallas. 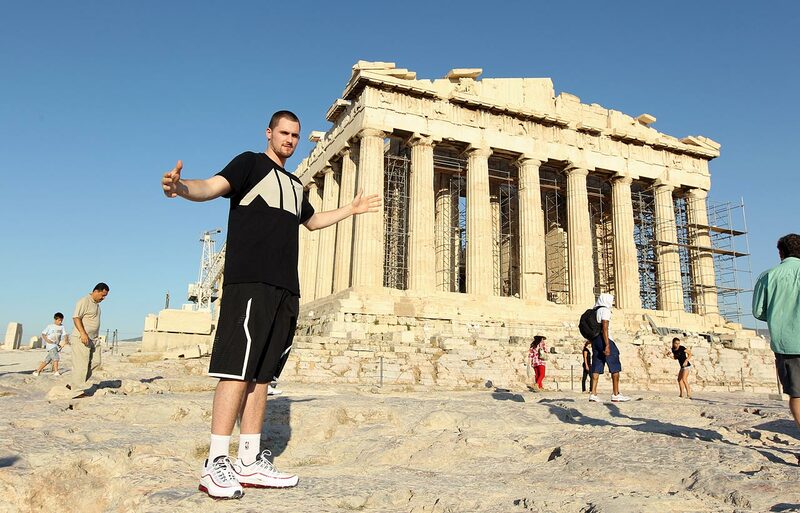 While helping Team USA to a gold medal at the 2010 FIBA World Championship, Love spent his off time touring Europe. Check him out in front of the Acropolis in Athens. 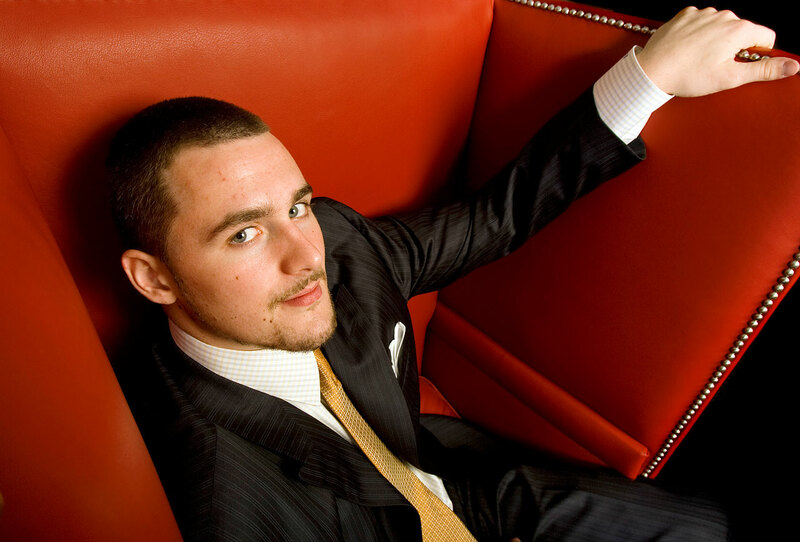 Love and his father, former NBA player Stan Love, dined at the Four Seasons in Istanbul during the World Championship. 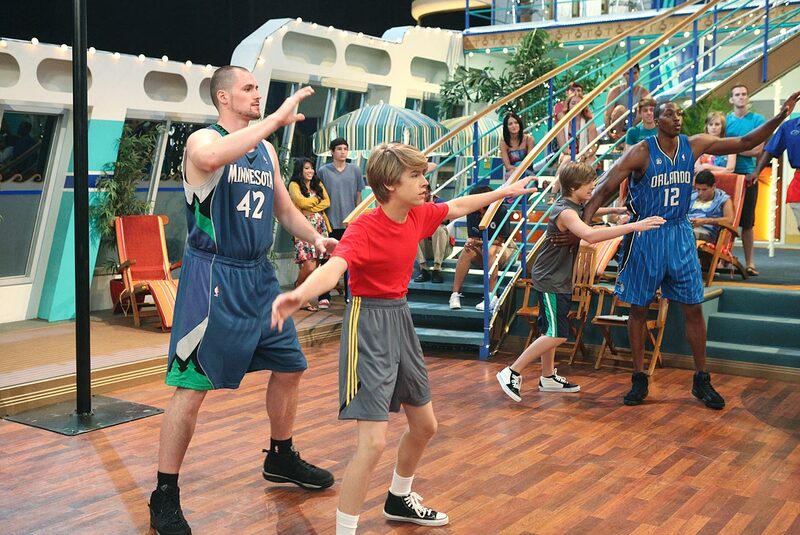 Love and Dwight Howard guest star on "The Suite Life on Deck," which may have stifled any career in acting. 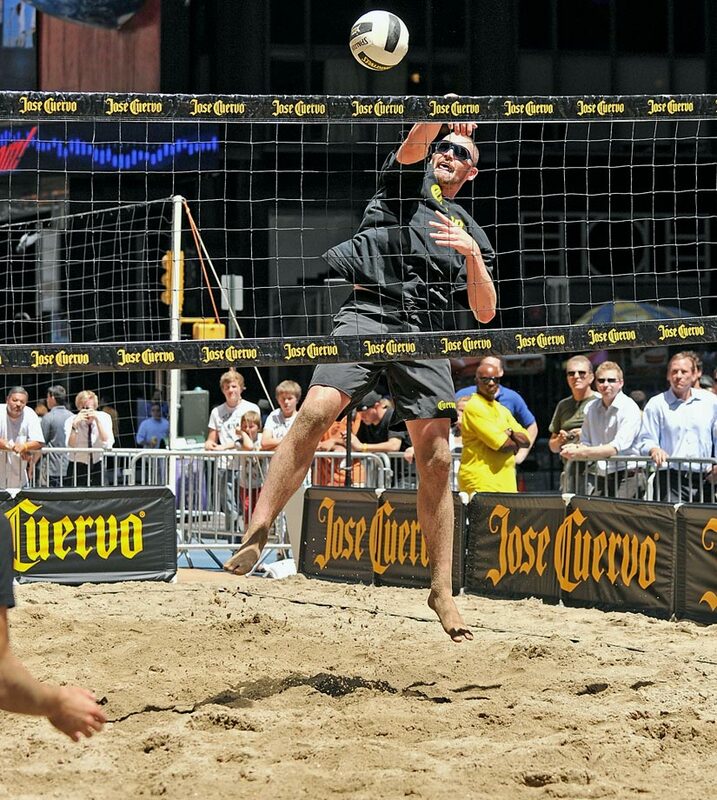 Love shows some skills in Times Square after announcing he'll be playing in upcoming beach volleyball tournaments during the NBA lockout. 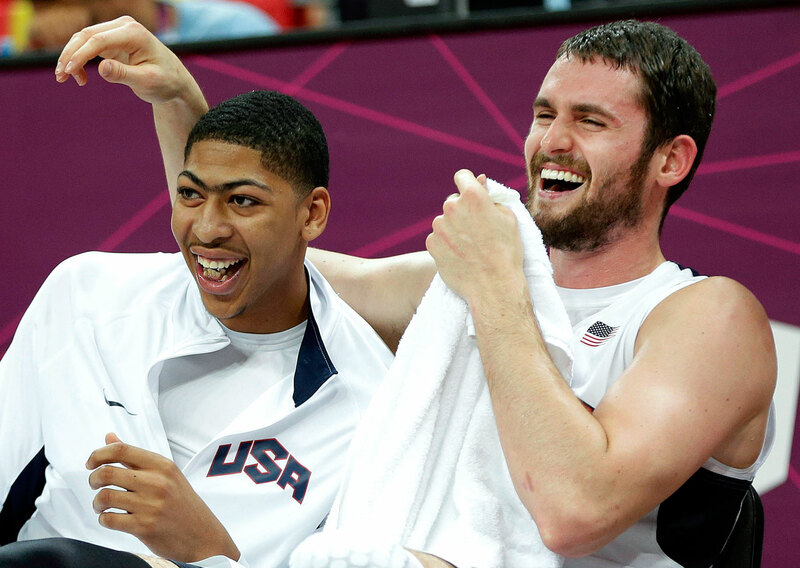 Love shares a laugh with Anthony Davis during the 2012 Summer Olympics. Love, who grew up with dreams of playing quarterback, looks ready to gun a t-shirt. 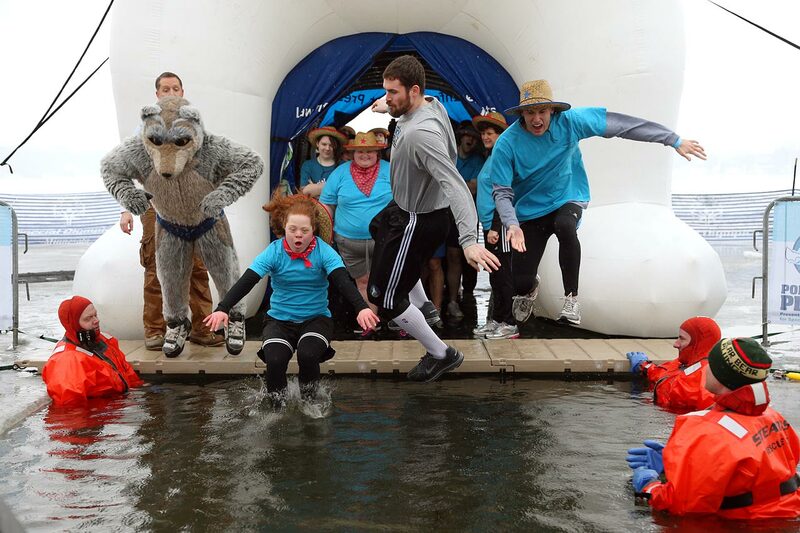 Love takes a dip during an event for Special Olympics. 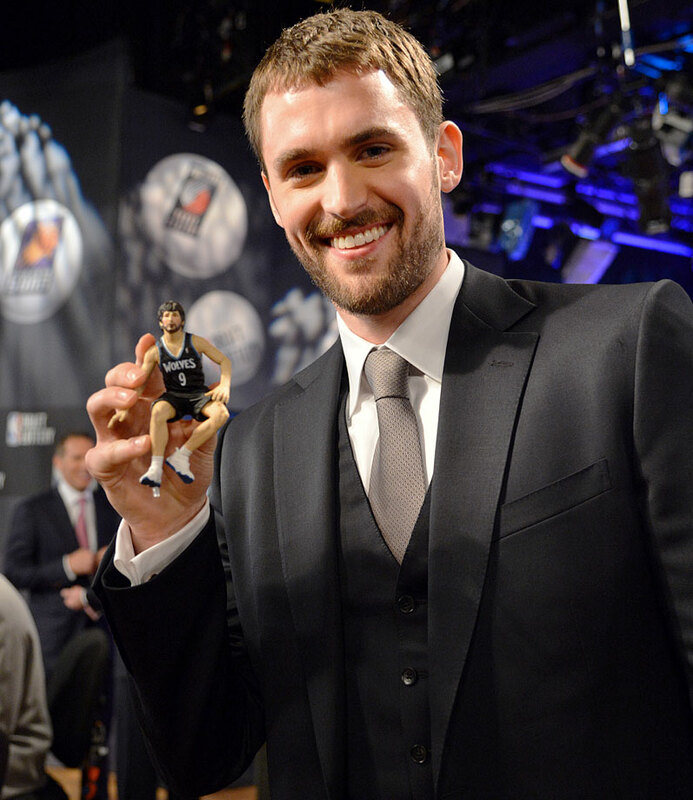 Love used a Ricky Rubio figurine as his good-luck charm while representing the Timberwolves at the 2013 draft lottery. 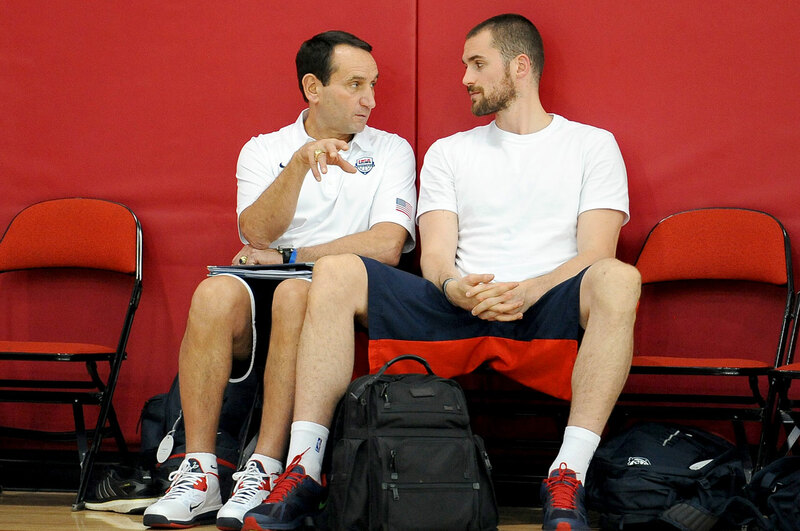 Love chats with Team USA coach Mike Krzyzewski during a minicamp. 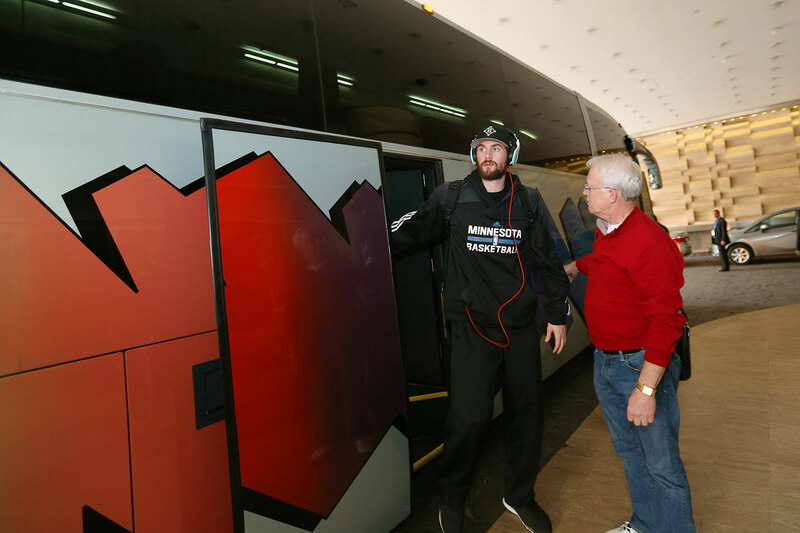 Love and the Timberwolves had their game in Mexico City postponed because of smoky conditions in the arena. 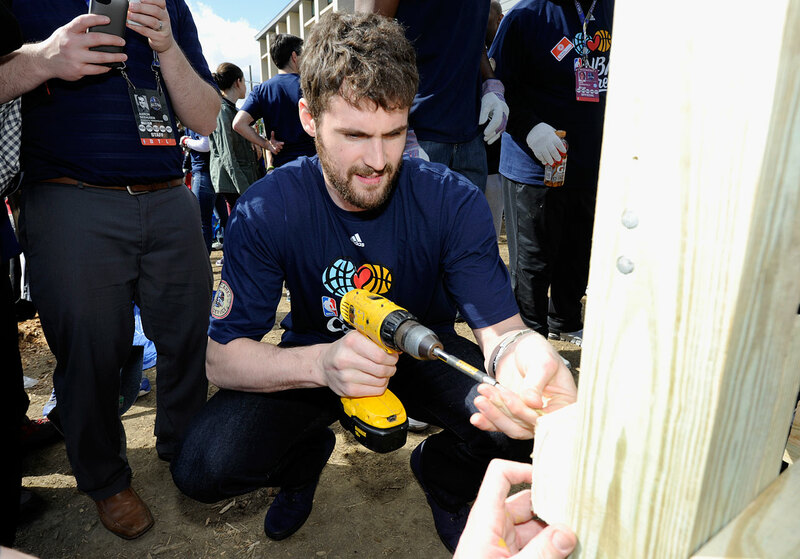 Love wields a drill during the NBA Cares All-Star Day of Service. 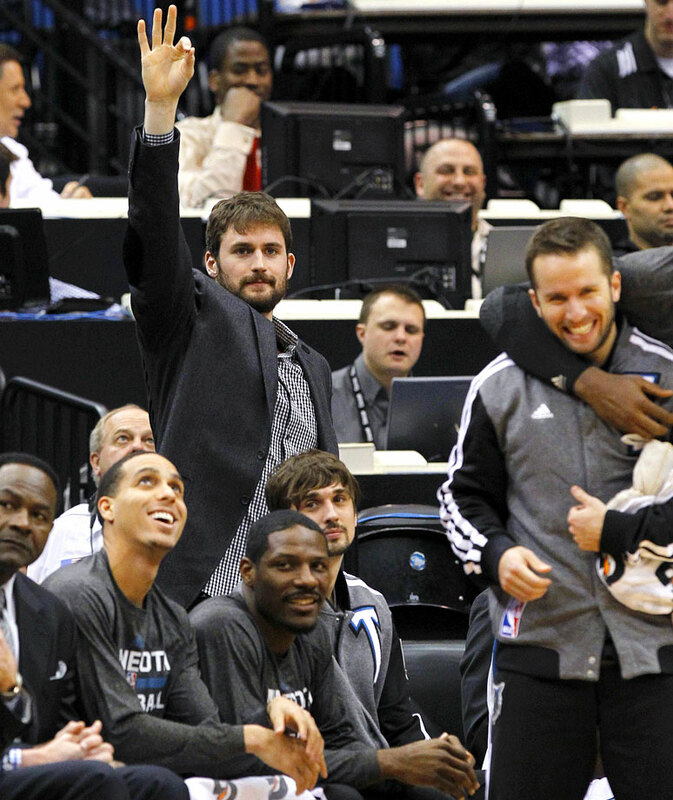 Injured with a hyper-extended right elbow, Love cheers his teammates from the bench during their game against the Houston Rockets. 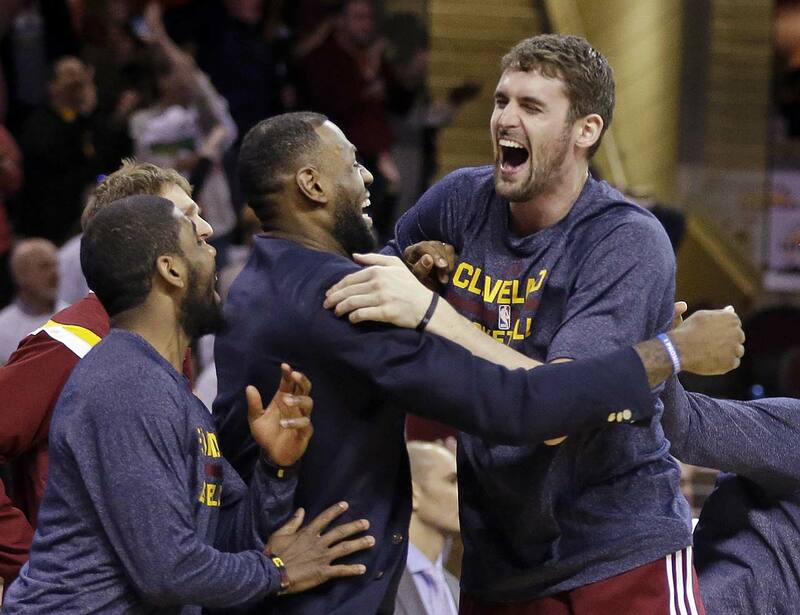 Kevin Love, LeBron James and Kyrie Irving celebrate after a 113-108 overtime win over the Washington Wizards in April 2015. 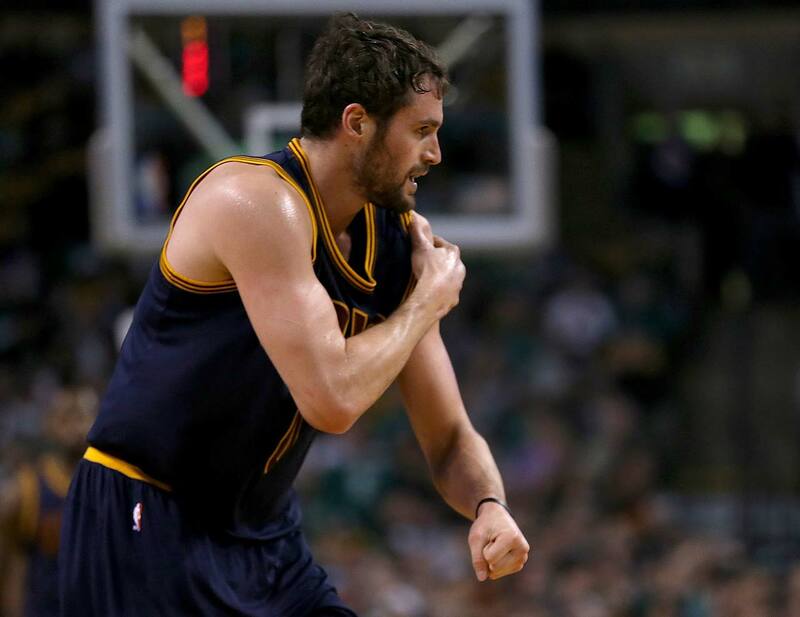 Kevin Love reacts after a season-ending shoulder injury against the Boston Celtics in Game 4 of a first-round playoff series in April 2015. Cleveland made the NBA Finals but was forced to play the majority of the series without Kevin Love and Kyrie Irving, both who were injured. 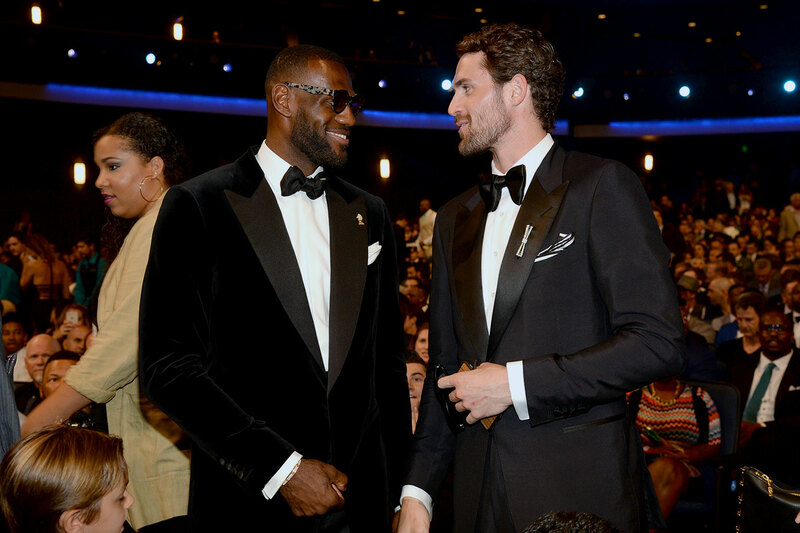 LeBron James and Kevin Love attend the 2015 ESPYS at Microsoft Theater in Los Angeles. 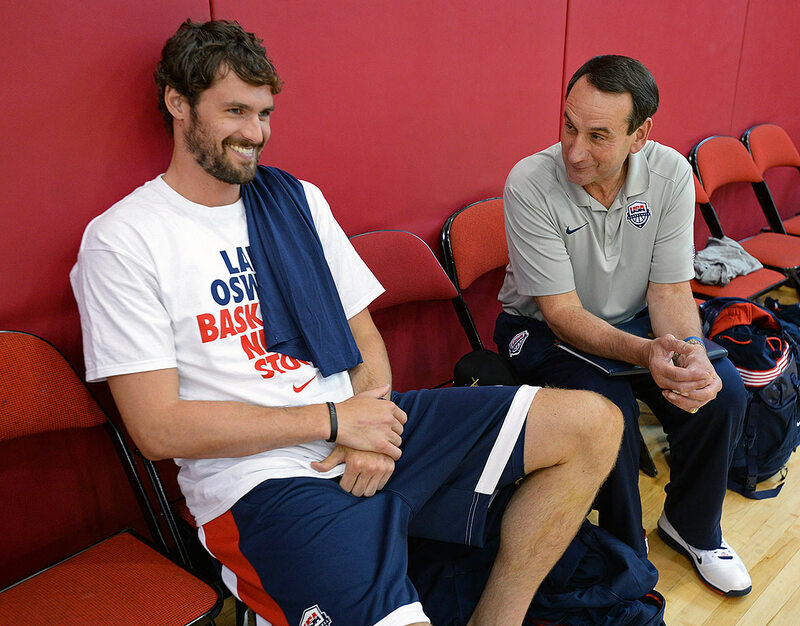 Kevin Love and Mike Krzyzewski of the USA National Team share a laugh during a minicamp at UNLV in Las Vegas. Over 75 games last season, Love averaged 16.4 points and 9.7 rebounds while shooting 43.4 percent from the field and 36.7 percent from three-point range as Cleveland posted a 53–29 record and earned the No. 2 seed in the Eastern Conference. 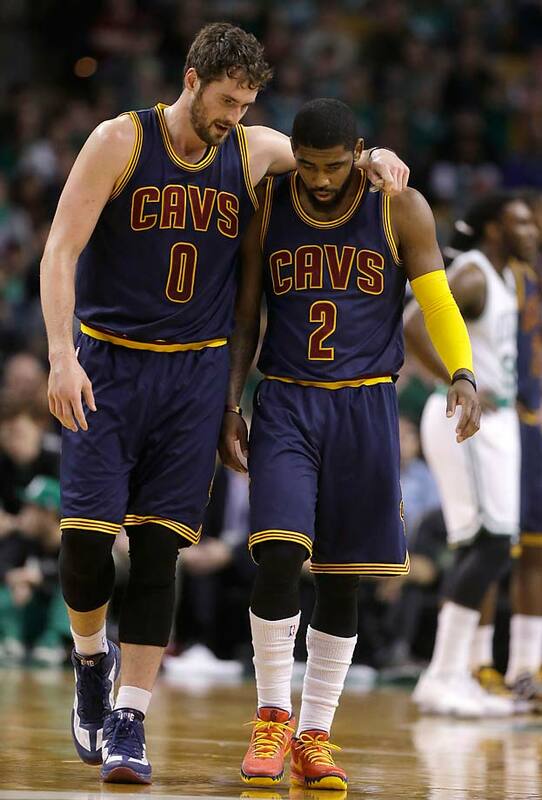 Love suffered a dislocated shoulder during the Cavaliers' first-round playoff series against the Boston Celtics and missed the remainder of the playoffs. He also dealt with a back injury during the regular season. Cleveland.com reported last week that LeBron James will not recruit Love back to Cleveland.